Both sides of the aisles in Washington can say “cheers to that” when it comes to a bill that will help create growth by cutting federal excise taxes for developing craft breweries. United States Senators Joni Ernst (R-IA) and Heidi Heitkamp (D-N.D.) became the 50th and 51st Senators to officially endorse the Craft Beverage Modernization and Tax Reform Act (S. 1562) recently, making the count 27 Republicans and 24 Democrats that have endorsed the bill. That has breweries across the country and its guilds very happy. “The [bill] is similar to beer; it has brought people with differencing opinions, perspectives and party affiliations together in unison, to share and agree in a common point of view,” said Tom McCormick, the executive director of the California Craft Brewers Association. The biggest part of the possible changes would be halving the excise tax for craft breweries that produce under 60,000 barrels per year from $7 per bbl to $3.50. 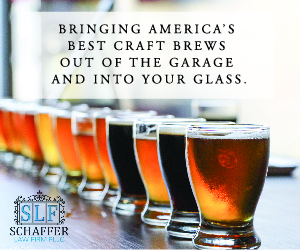 Around 98 percent of America’s craft breweries fall into that category. Tim Barnes, the Wyoming Brewers Guild president and Black Tooth Brewing co-owner has appeared on Capitol Hill three times to help further this legislation. The amount of money estimated by lobbying groups for the bill estimate that an additional $320 million could be given back to craft breweries, now nearly a total of 5,000 across the country. The act would also reduce $2 per bbl (from $18 to $16) for breweries that produce between 60,001 to 6 million bbls annually. Rob Fullmer, the executive director of the Arizona Craft Brewers Guild said not only jobs can be added, but communities can be changed. The bill would also reduce bonding and filing requirements for the 90 percent of American breweries that pay less than $50,000 per year in federal excise taxes and it would expand the list of ingredients that could be automatically included in beer without federal government approval. It also would allow small, unaffiliated brewers the ability to collaborate on new beers, and giving them the flexibility to transfer beer between breweries without tax liability. “This act is an important part of supporting these growing businesses as they continue to invest in good jobs in their communities,” said Kansas Craft Brewers Guild president Steve Bradt. Introduced in the Senate by Senators Ron Wyden (D-OR) and Roy Blunt (R-MO) on June 11, 2015. The House companion bill (H.R. 2903), introduced by Representatives Erik Paulsen (R-MN) and Ron Kind (D-WI) on June 25, 2015, has received official support from 283 members of the House of Representatives as well. 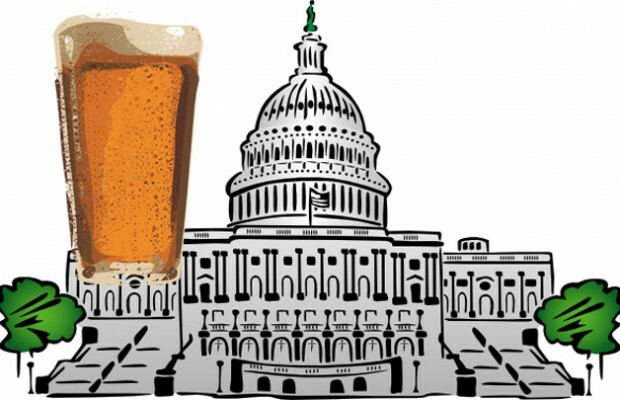 “Now that a majority of both the House and the Senate support the legislation, we look forward to Congress taking up the bill and moving it to President Obama’s desk to become law,” said Jim McGreevy, President and CEO of the Beer Institute in a release. It’s reported that the American beer industry supports 1.75 million jobs, contributes nearly $79 billion in wages and benefits each year to American families, and generates $253 billion for the U.S. economy. Guilds in Alaska, Ohio, Iowa and Washington voiced their thanks and applauded state representatives and senators for helping back the bill. In Rhode Island, guild president Brent Ryan noted that although neither Senator has co-sponsored the bill, he has spoken with their offices and hop as more Senators sign on, the state delegation will be among the extra co-sponsors.